Since 1985, RSM Uniforms has constantly met to the demands of more than 300 schools in and around Chennai. We have offered a vivid collection of designs, patterns and textures, so as to meet the requirements of all schools, big or small. We ensure that our school uniforms are made of comfortable fabric that is easy to maintain. RSM Uniforms knows the significance of good quality uniform for a child who wears it daily for almost 12 hours. We keep in mind various factors as child’s health and skin in mind while selecting its fabric. We ensure that we employ blends of cotton in crafting our uniforms to avoid any kind of rashes and skin allergies. 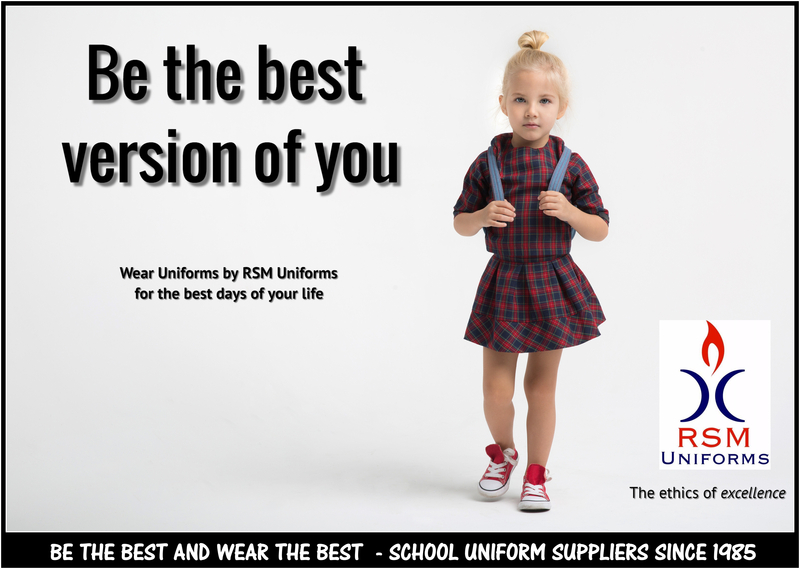 RSM Uniforms manufactures its uniform skilfully to ensure that children are relaxed and at ease the entire day. Are you in plans of changing the uniforms for your school? Are you unhappy with the current uniforms that your children are wearing? Look no where call us now at 9176634635 and check over 100 varieties of School uniforms with us. We would be glad to assist you with your School Uniform needs.